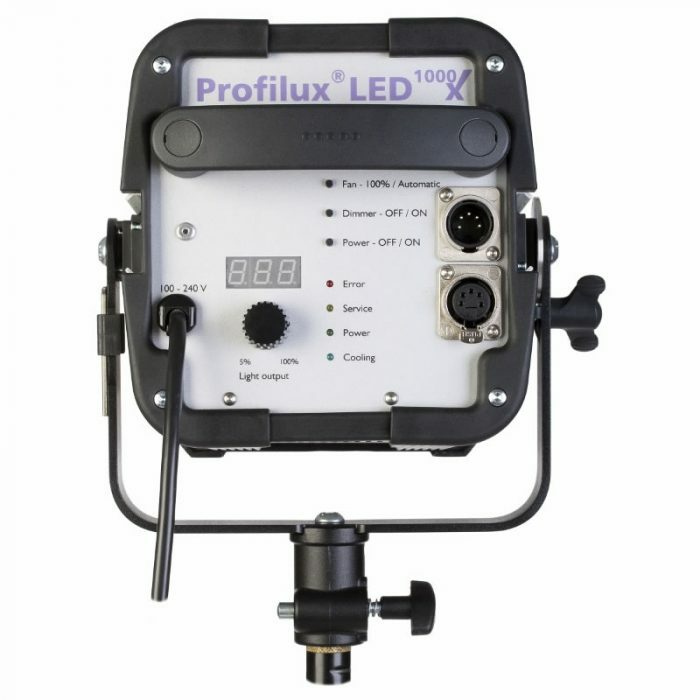 The innovative Hedler Profilux LED 1000 X DMX Light, using the very latest LED technology, has a general purpose floodlight reflector and build-in ballast pack. 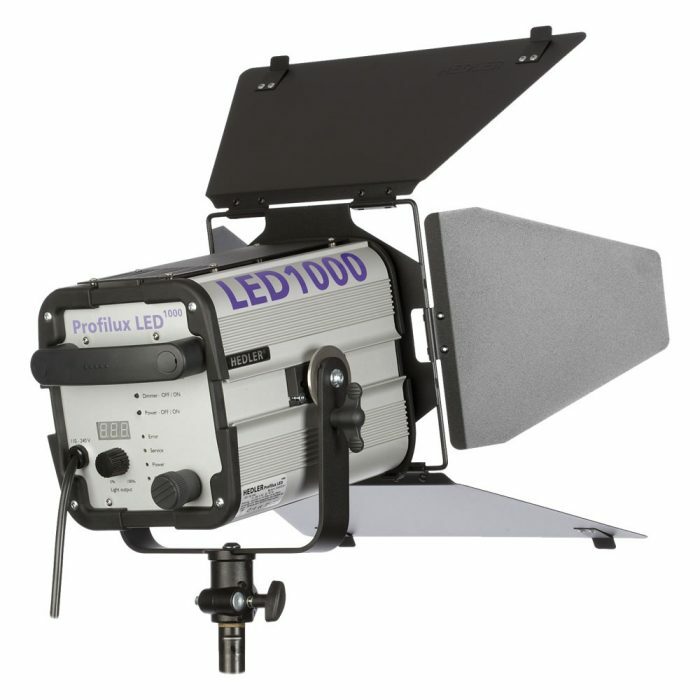 It is a perfect companion unit to the Hedler Profilux LED 1000 Fresnel Spot unit. This version comes with DMX connections for remote control. 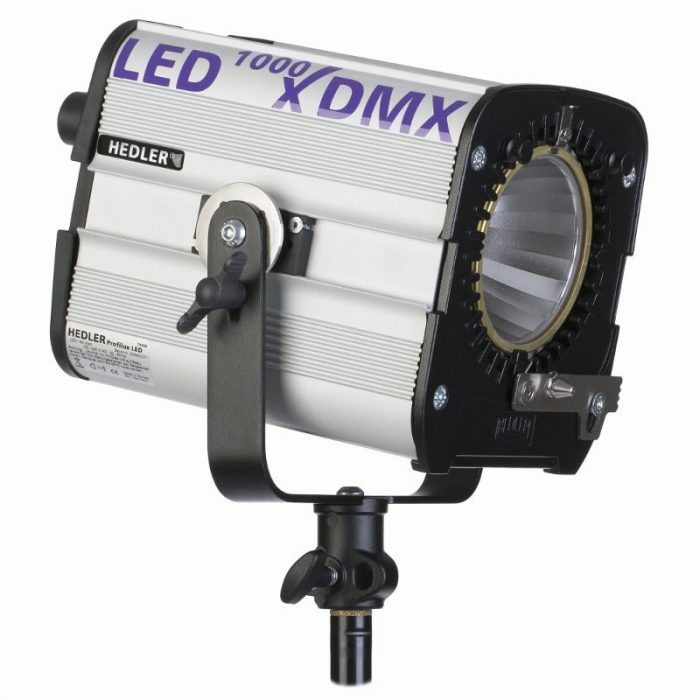 The Hedler Profilux LED 1000 X DMX Light unit using ONE high power, single LED unit with daylight colour temperature approx. 5600K and a CRI > 95 – flicker-free! It has extremely quiet fan cooling and special, active LED cooling; the LED has an average lifetime of approx. 50000 hours! 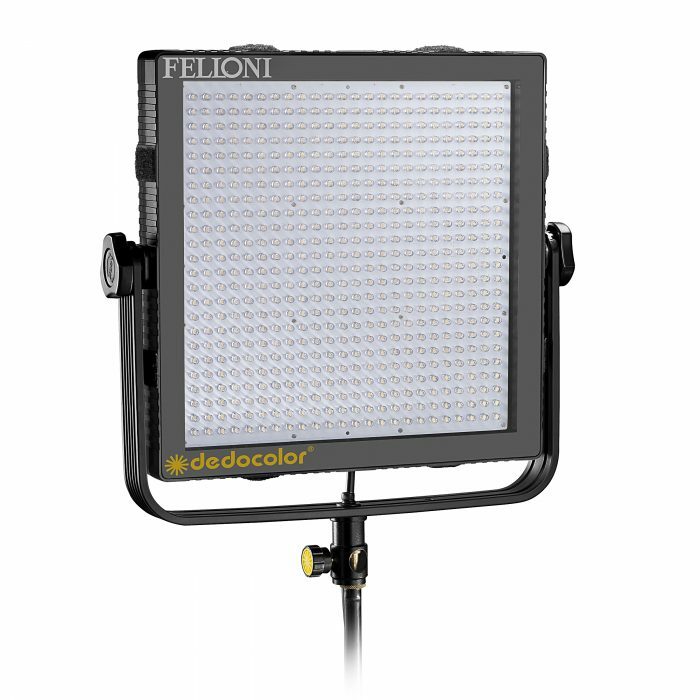 The unit can be used with all existing Hedler reflectors and softboxes: full integration into an existing system. More features: LED soft start, digital display with light output power indicator, dimmable from 5% up to 100% light output, service indicator and status LEDs, integrated electronic ballast, fan control automatic and manual, recalibration option, automatic mains voltage recognition, multi-voltage from 100 up to 240V, integrated overheat protection, integrated LED safety switch-off and an integrated operation-hour counter. 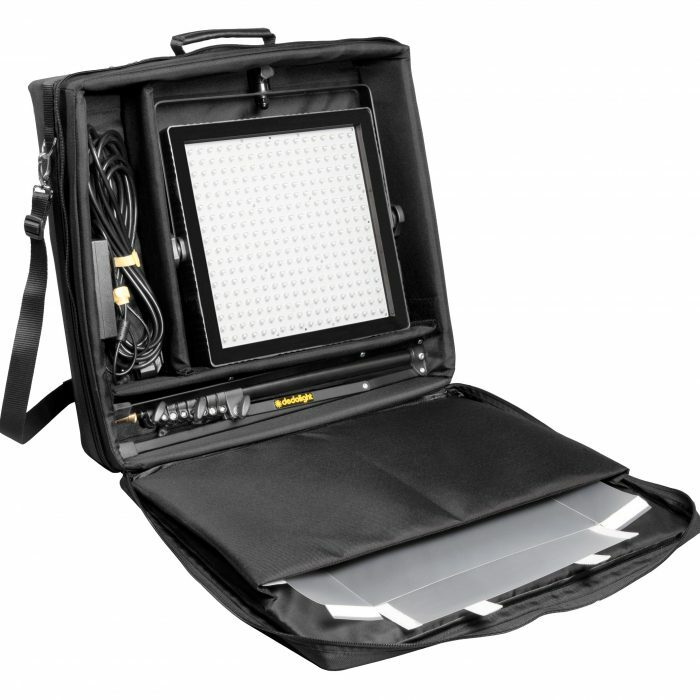 With its compact size and lightweight construction it is perfectly suited for studio and location work. The Profilux 1000 X LED produces a light beam that is very low in heat, a very important feature for sensitive materials and humans! The perfect light source for Stills, Video, Film and High-Speed photography! 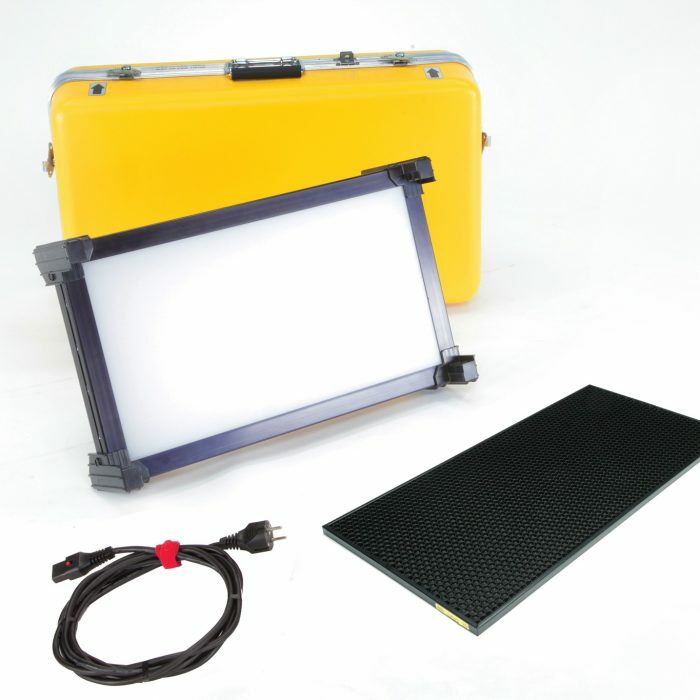 Huge accessory range: reflectors, barndoors, filters, softboxes.